Taylored Expressions October Sneak Peek: Holiday Grumplings and Baby It's Cold Outside! Hello! I'm back with Day 3 of sneak peeks from Taylored Expressions! Aren't you loving all of the new holiday goodies so far? Tomorrow, October 1st at 7AM PST they will all be available-YAY! 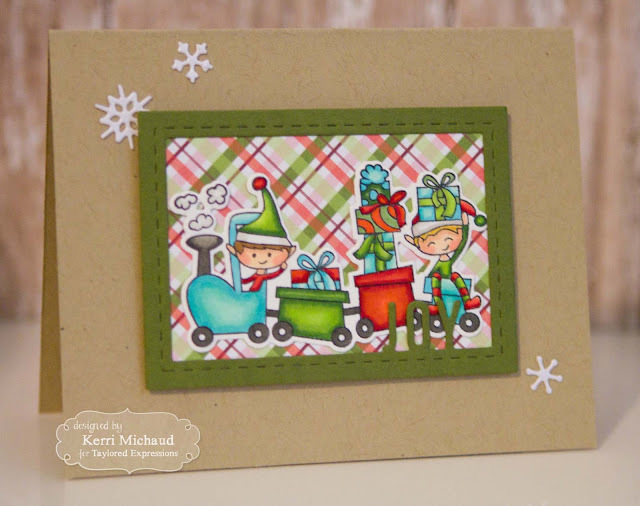 For my first peek today, I used the new Holiday Grumplings Stamp Set along with the coordinating Holiday Grumplings Dies! I stamped my angry snowman LOL with Memento Tuxedo Black and colored with Copics. 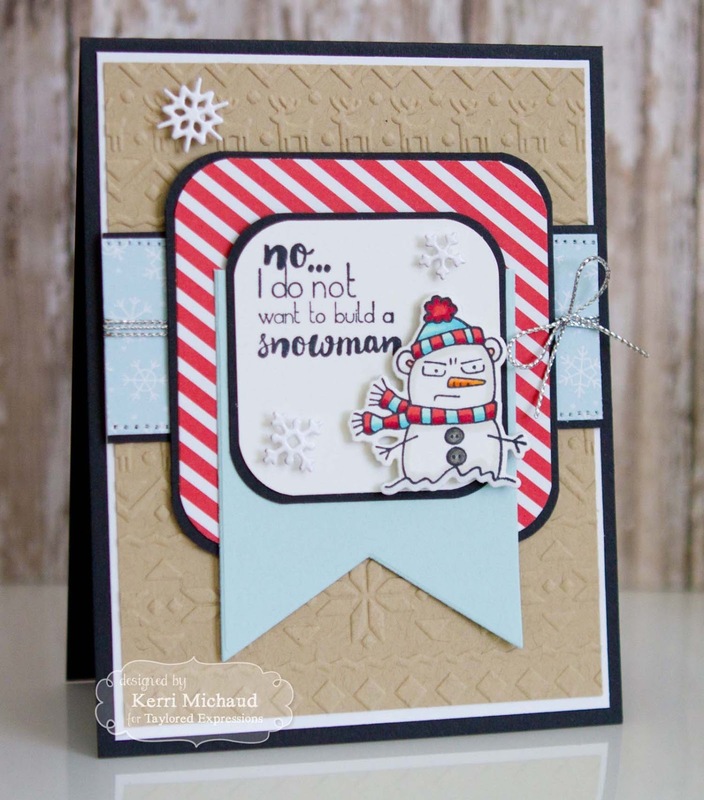 I cut him out using the coordinating Holiday Grumplings Die and popped him up with foam tape over a panel stamped with a sentiment from the Holiday Grumplings Stamp Set. I embossed the back Toffee panel using the new Nordic Holiday Embossing Folder and the dp is from the new Build a Scene Christmas Paper Pack. I added the snowflakes using the Little Bits Snowflake Confetti Die and finished it off with some Silver Metallic Twine. The layout is MOJO414. For my next card I used the adorable previously released stamp set-Baby It's Cold Outside along with the new coordinating Baby It's Cold Outside Dies! Love the cute tags and your cards. Awesome tags. What fun little images.